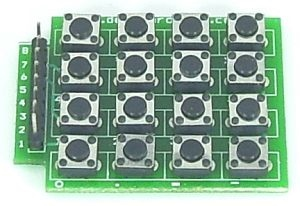 A matrix keyboard can be used as an input device in different applications. Access control systems, for keying in ID number and password, etc. Low-end point of sale terminals which are not equipped with touch screen interface. 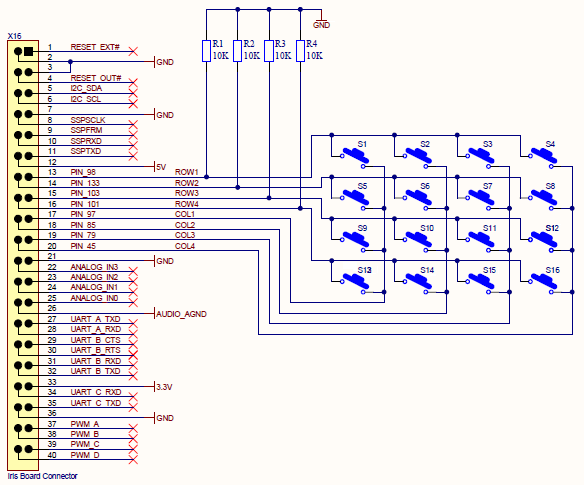 This tutorial demonstrates how to interface 4x4 matrix keypad with Toradex module & Iris Carrier Board V1.1 A.
Download demo code from the Download Section. 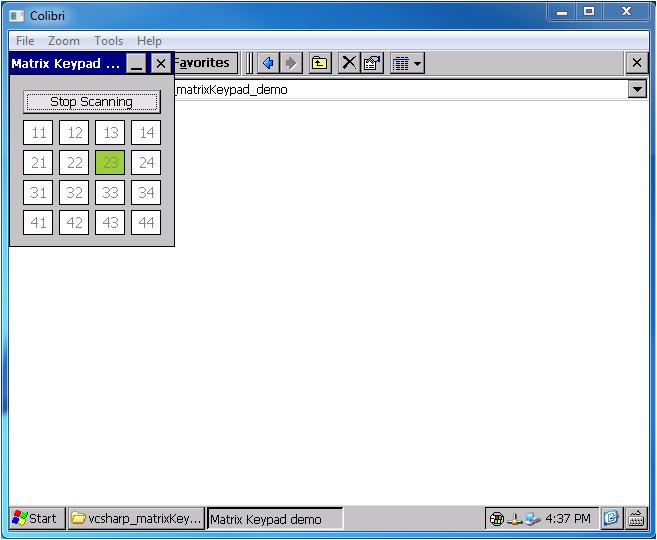 Navigate to My Device > Program Files > matrixkeypad_demo and run the application matrixkeypad_demo.exe. Demo application can be downloaded from the Download Section. Build and deploy the application on your WinCE device. Go to My Device > Program Files > vcsharp_matrixKeypad_demo and run the application vcsharp_matrixKeypad_demo.exe. Following GUI will open. Press Start Scanning button to start the scanning. A box on output window will glow with green color on pressing respective button on matrix keypad as shown below. Native C Demo - PXA/Tegra and Vybrid/iMX6. CSharp Demo - PXA/Tegra and Vybrid/iMX6. Note: For better results, keybd_event function can be used to keep the current status of the keys and synthesizes a keystroke. It may be useful to implement debouncing and to generate actual key strokes, allowing the matrix keyboard to behave like a regular one. This will also support auto-repeat and other typical keyboard behaviours. For more information, check this MSDN article.